Zetta Elliott offered a free copy of her book to interested reviewers. Please do not believe that I proceeded to read and review The Magic Mirror with bias. If you’ve spent any real length of time here on ‘omphaloskepsis’, you know I’m a fair and balanced reviewer, but I felt it should be clarified nonetheless. “When a boy at school hurts Kamara’s feelings, she goes home and asks her grandmother if the mean words are really true. Gramma tells Kamara to go upstairs and clean the old mirror in the guest room. But when Kamara starts to rub the glass, she discovers that the mirror is magical! Kamara sees brave women from the past who faced many challenges yet never gave up hope. When the historical journey ends in the twenty-first century, the mirror once again shows Kamara her own reflection. She sheds her self-doubt and instead draws strength from the courage of the women she met in the magic mirror.” publisher’s copy. 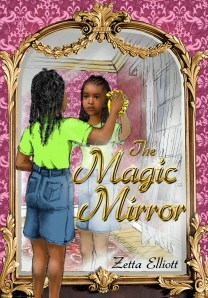 It would be tempting to only promote The Magic Mirror as a more-than-suitable accompaniment to a grade-schooler’s studies of African American History. * Elliott captures a great deal in those shifting portraits through time. I can already imagine children choosing a portrait to expound on for the class, or as a personal project to learn more about a time witnessed. However, more should be said about its personal impact. Elliott lays the groundwork in the opening pages, the timelessness of a soul. Despite the difficulties of aging, “grandma hasn’t changed inside” (2). She has a vitality and Kamara describes her as a safe place. What Kamara comes to see in the mirror is her legacy. She sees in the mirror courageous women exemplifying perseverance, hope and determination. Not all of the historical reflections are easy to confront. Elliott buoys the text by anchoring the scenes upon the women she wants Kamara (and the reader) to see and know. They lend their courage to face, endure and overcome to Kamara (and reader). After one sequence, Kamara recognizes that “though they are trying to humiliate her, they have not touched her soul” (24). More, Elliott wants Kamara (and the reader) to know that these women live on. Kamara takes strength in what she’s learned in the magic mirror; which for the reader is the book. ** “I stare at my reflection and see traces of the brave and beautiful women from my past. I know their pride, courage, and determination are still alive in me” (30). Elliott’s story escapes the sentimental in its declarative voice. Hers is an extremely powerful use of the first person narrative, “I stare,” “see,” and “I know.” Kamara has heard some “hard words” from a boy at school, but what she’s seen and knows to be true is there to sustain her; like the relationships where her grandma and mother provide safe, empowering, loving homes from which to become. The Magic Mirror is the first person narrative of Kamara’s struggle, journey and discovery, but I get the feeling hers is one that can be shared. The Magic Mirror, like the most precious of books, can be a safe, empowering, loving home to inspire one to become hopeful and courageous–to know they are beautiful. I’ve a fond wish for readers to find less academic reasons for The Magic Mirror. * I imagine children (and adults) looking in mirrors and seeking out the stories that make them proud and that speak of a timeless beauty born of courage, hope, and determination—stories not unlike The Magic Mirror. A word on the illustrations by Paul Melecky: I feel sure I would have called the scenes captured in the mirror as “portraits,” but the illustrations are framed stills, color shaped by loose lines that grant the images movement (and thus life); too, are those facial expressions. The illustrations hold the story and historical moment as complexly as Elliott describes them, creating a wonderful partnership between author and illustration. All of the illustrations are of the mirror. It’s of interest that the story begins with an illustration of Kamara looking in the mirror, but does not close with another one her as her legacy dawns on her. Instead we are left with the last image of a young woman in graduation robes embraced by family. “One day I will go to college, too” (30), Kamara knows, confident in the pathway since created for her. What is left for Kamara and the reader to imagine is: what scene will be played out for future generations looking in that magic mirror. It isn’t a question of what legacy she will leave, but what moment in her life might exemplify that which still lives in her. 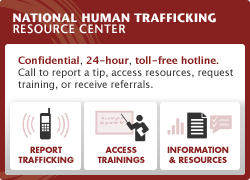 *this is not to say I wouldn’t love public, school, and classroom libraries to stock copies of this one–I just want to avoid the party line that this is one that will educate; which it will, but it is also quite moving. recommendations: obviously this is a powerful book for girls, but I wouldn’t restrict this to gender lines, nor racial either. Both the writing and book length are excellent for younger readers up through the grade school years. It would be cool to have print-outs of the mirror to encourage writing/illustrating our own legacies of courage, or imagine a present/future scene wherein the reader can describe themselves.